Home / airlines / new flights / news / 11 Interesting facts about Air Deccan version 2.0! 11 Interesting facts about Air Deccan version 2.0! January 2019 Update: Unfortunately Air Deccan 2.0 is now history, as it has suspended operations and its license revoked. If you're a fan of Air Deccan, you should already by aware that Air Deccan is all set for its second innings from December 23rd... From what we know so far, I've compiled a set of interesting facts about Air Deccan's new innings. Read and share if you find them interesting. 1. 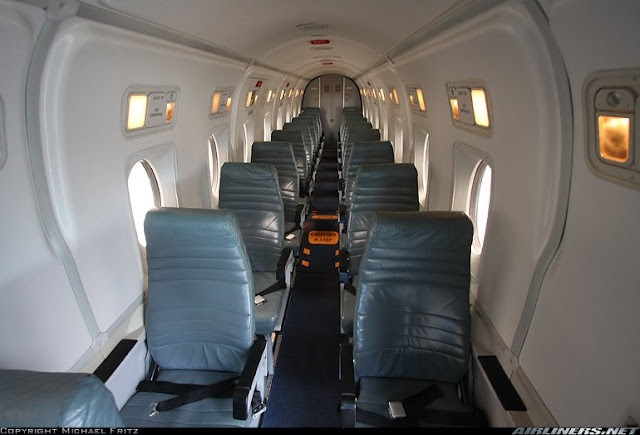 Air Deccan is operating Beechcraft 9100 D, probably the smallest plane till date used for commercial aviation in India. It has only 19 seats. With one seat for cabin crew, only 18 is left for a passenger. Plus we can expect Air Deccan to be getting some government support under UDAAN Scheme, discounted/free airport charges as it is a very small plane etc. It is also possible ticket prices will be increased a bit after launch. I am sure Captain Gopinath has done his maths and will succeed. 3. Air Deccan is not charging any convenience fee at the moment for ticket booking. No need to pay Rs 200-250 extra on top of what you see in first page. May be one of the reason AirDeccan is not yet listed on websites like MMT or cleartrip. 4. No seat selection fee as well. You're free to select your dream seat during booking. Not much info is available about meals/food on board. Given the size of aircraft and duration of flight, expect food/snacks to be bare minimum to almost nil. 8. Captain Gopinath says this will be his last stint and after this he plans to retire. 9. With only 18 seats to fill, Air Deccan will not need extensive marketing, lots of gate time etc. These many seats will easily fill up. Also they can board and deboard passengers much quicker and negotiate a discounted gate fee and other airport fee. 10. Beechcraft 1900 D can land in super small airstrips. Ideal to expand to various smaller airports yet to get commercial flights. Best wishes to Air Deccan. 11. Air Deccan will also be adding more flights around Kolkata and Delhi in coming months. It brought about a revolution in Indian Aviation. I remember doing a fam trip with the company. I hope things will be good this time around. Beware of MakeMyTrip's latest trick! Air Deccan to relaunch on December 23rd!